We love wool carpets here at Flooring 4 You, especially a ‘bit of Brockway’. Think indulgent textures with wool loops, fabulous colours with wool twist carpets and something a little bit special with undyed, pure wool. If you visit the Brockway Carpets website, you’ll be greeted with a welcome to the ‘home of wool carpets’ – here’s why, plus more about some of our favourite Brockway products! Yes, one thing you can be sure of, is that all Brockway Carpets are made right here in England. 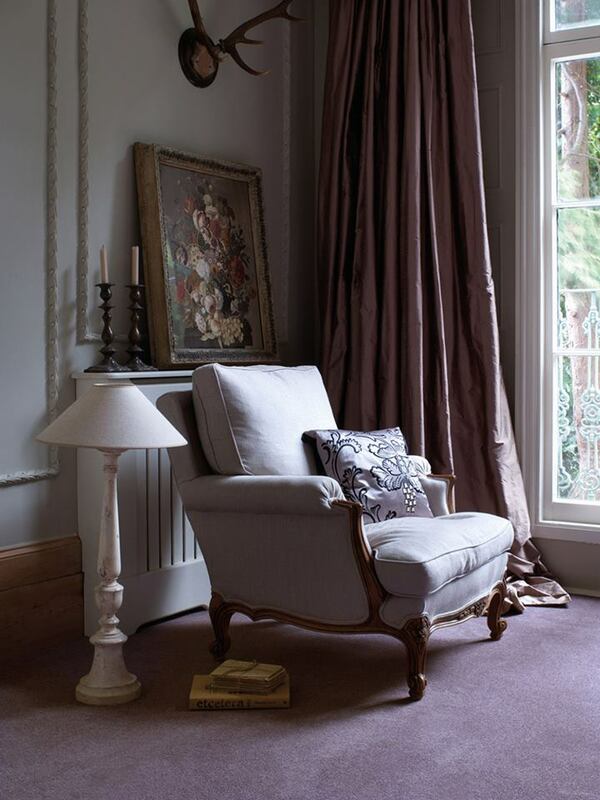 Brockway are renowned across the carpet industry for their British craftsmanship and high-quality carpets. Everything is made at their own factory in Kidderminster, giving them full control over materials, processes and designs. It’s a family run business and today, the sons and daughters of former staff are the ones who continue to pass on the expertise of generations of carpet makers to those working at Brockway. 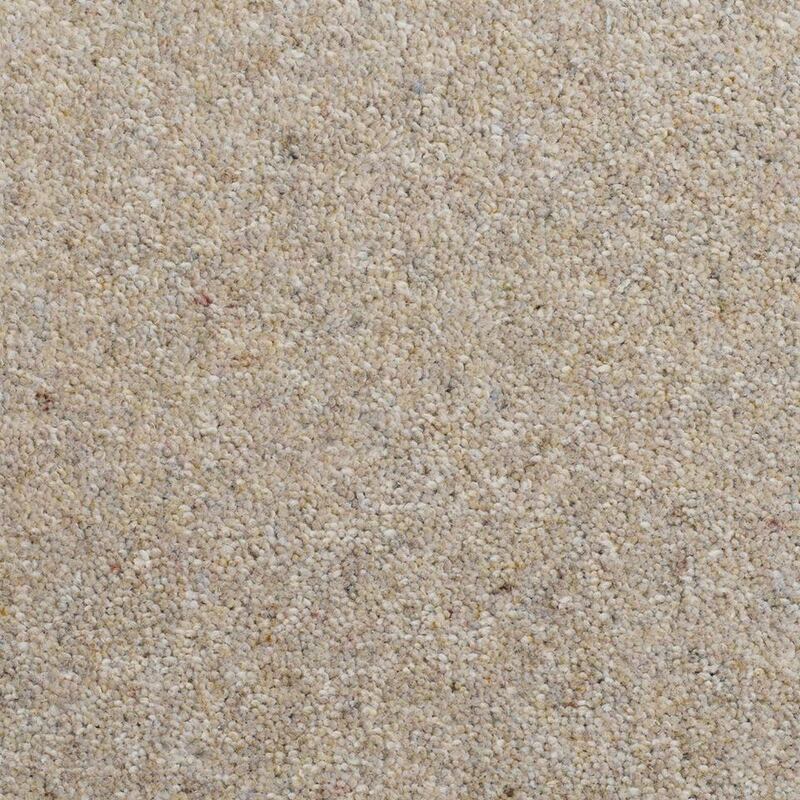 One of the most popular Brockway Carpet collections with our customers is made from undyed wool. It’s the award-winning Rare Breeds collection, which has won accolades for its sustainable, environmentally friendly qualities. The Rare Breeds carpets are made using 100% wool from British rare sheep breeds, in a 2-ply yarn. No dyes are used in their manufacture and the carpets are made with an enviro-bac backing which means once finished with, they can be completely recycled. You can expect the Rare Breeds carpets to be soft to the touch thanks to the 50oz weight of the carpet. And you won’t be disappointed with the choice of colours, which are all understated and elegant, perfect for modern spaces. 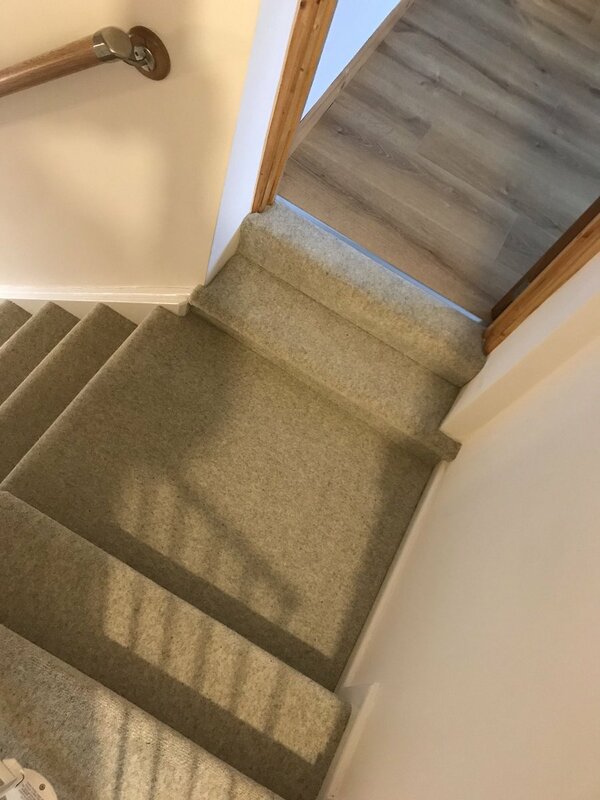 Showing: Rare Breeds British Wool carpet from Brockway Carpets – this is Norfolk Horn installed to stairs at a home in Timperley by the Flooring 4 You Limited team. It’s all about the fleck with the Dimensions Heathers carpets, which we refer to in the industry as a ‘heather’ carpet. A fleck helps you to pick out tones across the space you are carpeting for added synergy across the room. The Dimensions Heathers collection from Brockway features a great collection of modern colours all with a versatile semi-plain fleck. 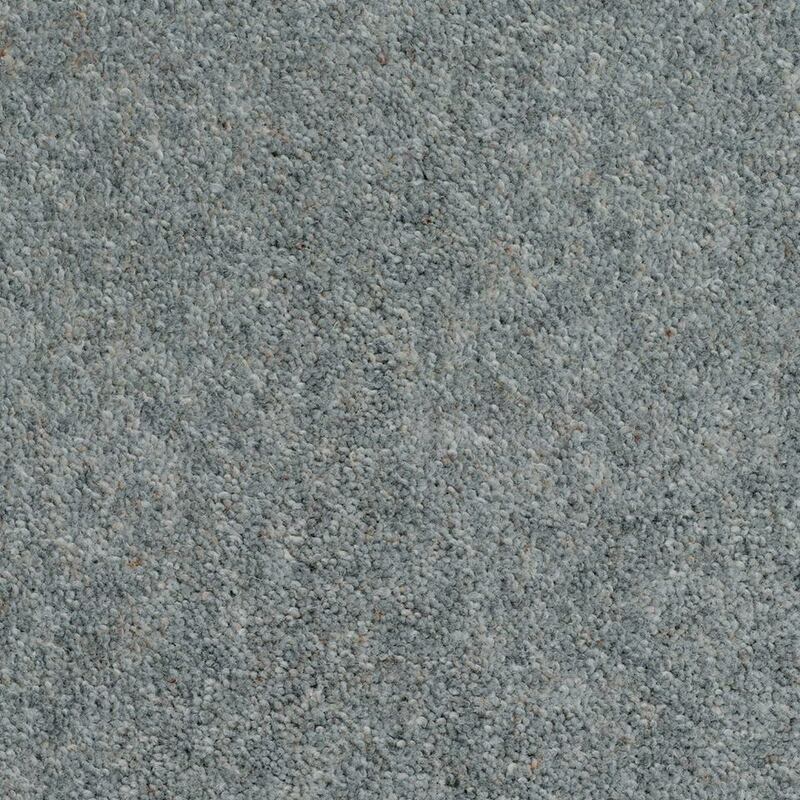 A carpet made in 80% wool, it’s got long lasting potential and works very well in busy family homes. It’s been manufactured in a thick twist too which gives it a lovely bounce underfoot for extra comfort. 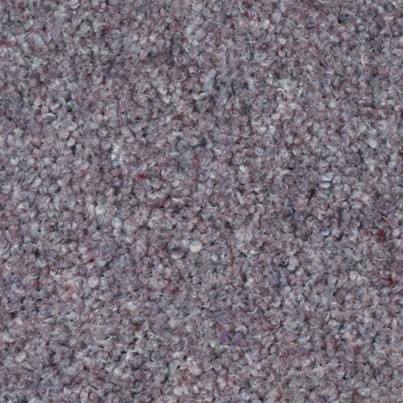 Showing: Dimensions Heathers Sweet Plum carpet from Brockway in a muted purple colour with grey overtones and subtle fleck. Accenting from area to area or room to room is something we all like to try and do when designing a room. 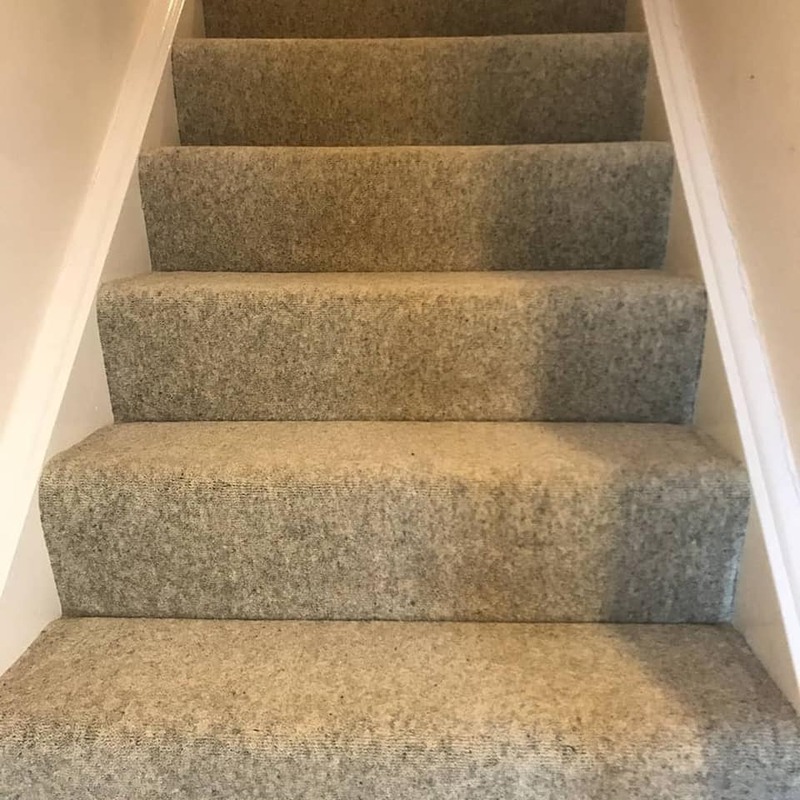 We often speak with customers who fall in love with a carpet for the stairs and landing and want something that complements, going into the rooms off the landing, but struggle to find the right match. Brockway have the perfect solution with their Dimensions Heathers Highland Stripe carpets, each one featuring colours within the Dimensions Heathers range, for even greater choice in creating colour harmony from room to room! 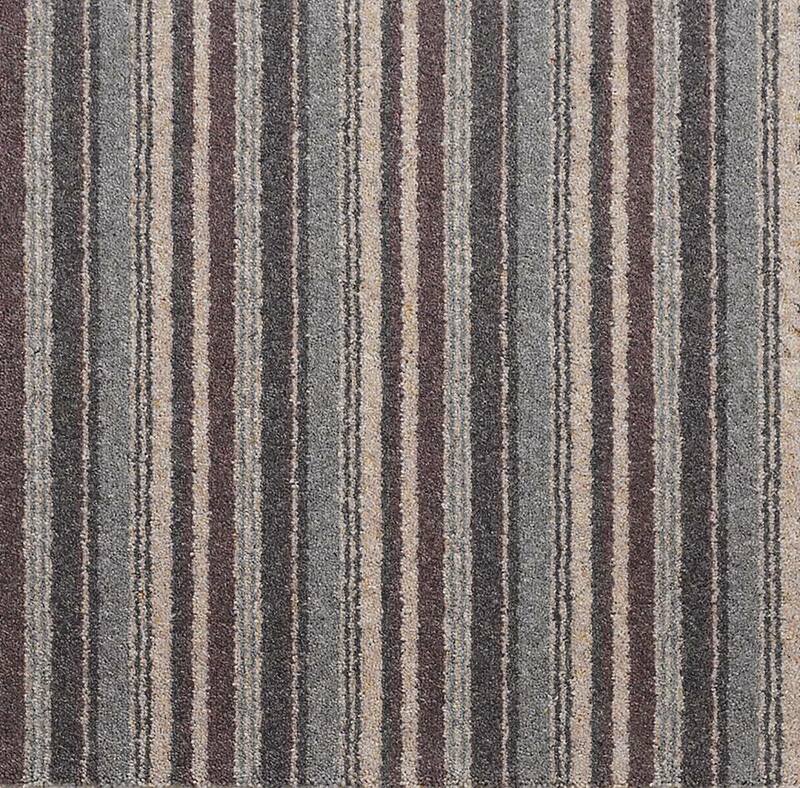 Showing: An example of the complementary colours in the Dimensions Heathers and Stripes collection. On the left is Dimensions Heathers Highland Stripe which features colours available in the Dimensions Heathers ranges, from left to right, Calf Skin, Jaguar and Sweet Plum. Brockway have some very exciting carpet colours available across their collections. While neutral tones and greys continue to be popular, we’re seeing increasing demand for rich shades to bring vibrancy and unabashed colour to spaces. For something a little less ordinary, try Tomato or Caviar in the Dimensions Plains collection. The Solar collection is not only luxurious and hardwearing but has some very exciting colours to brighten up your home. 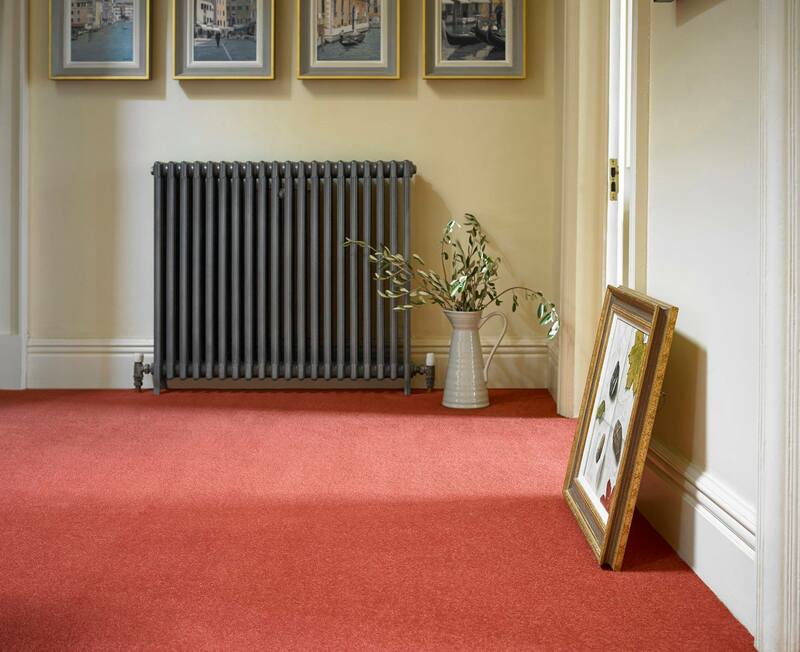 If you’re a fan of the 2019 Pantone Colour of the Year – Living Coral, there’s a fabulous Coral shade carpet to choose from. For a rich blue, see Solar Airforce or a vivid green, Solar Keylime. Whichever colour you do choose, you can be sure of the highest quality wool carpets with Brockway. Showing: Dimensions Plains Tomato from Brockway Carpets. You can see and feel samples of Brockway Carpets at our Knutsford and Bowdon showrooms. We highly recommend the Rare Breeds collection, but if you’re looking for a wool carpet that feels great, looks good and will stand the test of time, then anything Brockway will do. Get a free estimate for carpet for your home - contact us today!